Why everybody loves playing with viscous jelly? 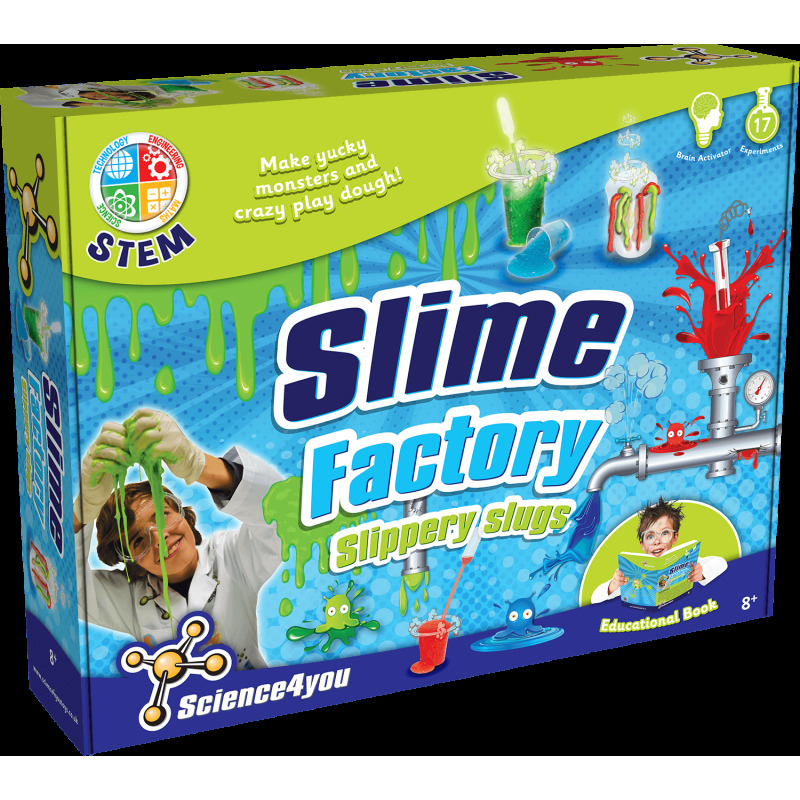 Find it out with the Slime Factory! Make your own homemade slime and experiment with it! Create invisible medusas and colourful worms. 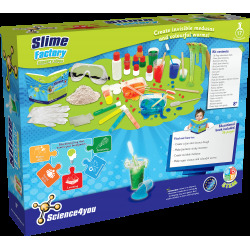 Become a real scientist by creating your own slime with the science kit of Science4you! 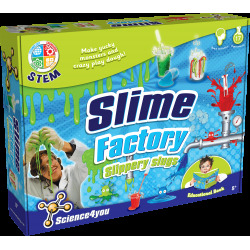 Discover what other experiments are included in the Slime Factory! How to create a fun and viscous dough. How to make fantastic sticky monsters. How to create invisible medusas. How to make super viscous and colourful worms. 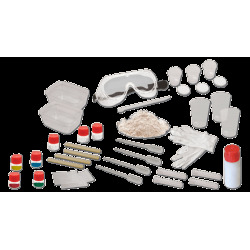 It also includes up to 17 experiments for kids as well as an educational bookwith 36 pages.